View some of the best Kenya photos on this page. Kenya has some of the most dramatic scenery in the world. 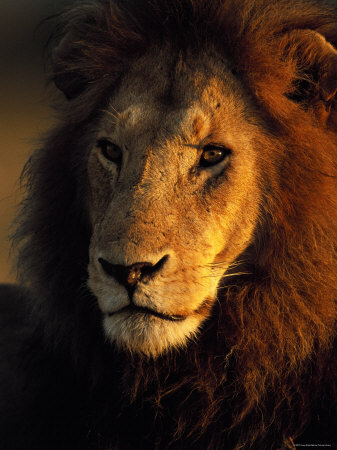 Lions, wildebeests, rhinos, leopards, elephants etc. 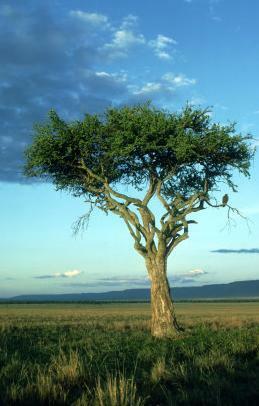 can all be seen in the national parks where the safaris take place. At the bottom of this page, you’ll find links to more Kenya photos on this website. 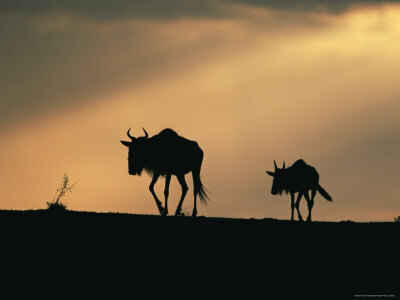 Above: Two wildebeests at sunset. Kenya’s Masai Mara national reserve is famous for the annual Wildebeest Migration in August-September, when up to a million animals migrate in a big circle from the Serengeti in Tanzania to Kenya and back. It’s one the biggest wildlife shows on earth. 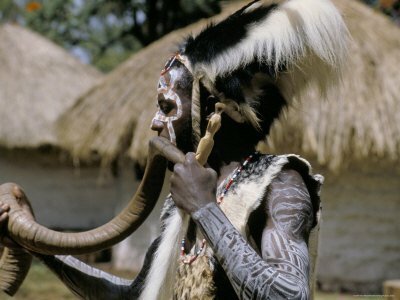 Above: A religious leader from the Kikuyu tribe involved in a ritual. Contrary to especially the Masai, Samburu and Turkana, the Kikuyu however have largely adopted Western lifestyles – though you’ll find beliefs in witchcraft etc. among most Kenyans. Above: Wow, impressive… This male lion looks terrific but they can and will kill a human in a few seconds when they feel an urge to do so. Although lions aren’t the easiest animals to spot, it is possible to see them with a bit of luck if you visit one of the national parks. I still remember when I first encountered a pack of 15 lions in Tsavo East. 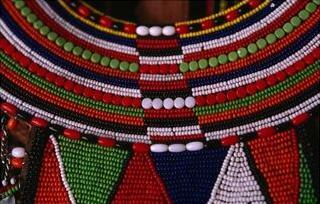 Above: This is a typical necklace worn by Masai women. The Masai dress very colorful, with red clothes and lots of jewelry. 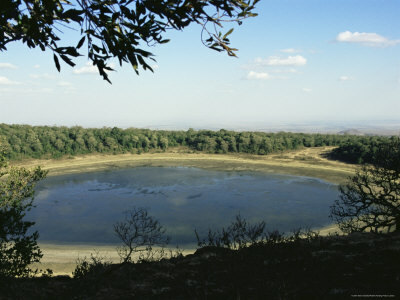 Above: Lake Paradise in Marsabit National Park, one the less visited parks in Kenya. If you’re looking to have a large chunk of Kenya all to yourself, this is one of your options (together with e.g. Mount Elgon National Park and Saiwa Swamp National Park). Above: Aahh… Kenya photos like these make me want to catch the next flight Unfortunately I’m currently typing this in my office in cold and rainy Amsterdam. Above: A small dhow, one of the traditional vessels that has been in use for centuries on the Indian Ocean and Lake Victoria (the huge lake between Kenya and Uganda) for fishing and trade. 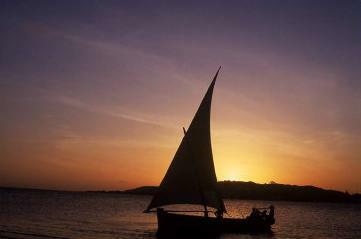 These days you can rent a dhow with crew at the Kenyan coast for a shorter or longer trip (especially in Lamu). 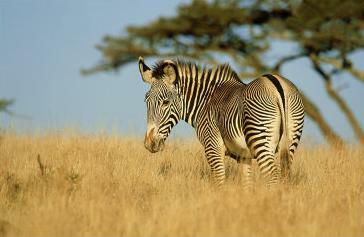 Above: A grevy’s zebra in Lewa. Zebras like the savanna and will trek for hundreds of miles to find food and water. 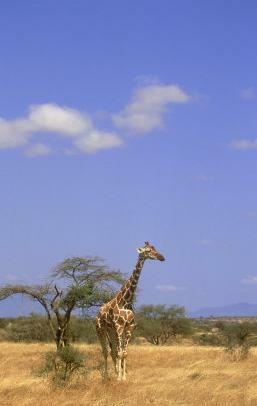 Above: A reticulated giraffe. They are so common in the Kenyan national parks and sometimes you can encounter herds of even 10 animals strolling majestically on the plains. An impressive image. 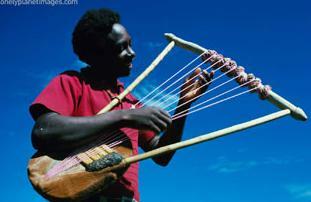 Above: Kenyans like music a lot and can be very inventive in making their own instruments from simple materials. This is a local musician in Kebirigo. 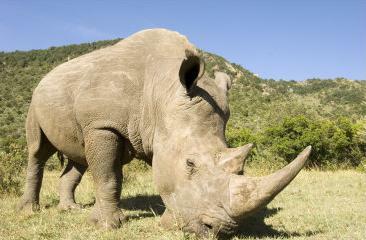 Above: The white rhino has been endangered in Kenya because of heavy poaching in the 1980s. But this has largely been put to an end by the infamous Richard Leakey, and these days some Kenyan parks have a growing rhino population again. I hope you've enjoyed these Kenya photos. They are provided here in partnership with Allposters.com, which in my view has the best Kenya photos available on the internet.